Click here to access a variety of different topics about your health! Meets every Monday, 7 to 8 p.m. at Common Ground (1344 Pine St., La Crosse). Aims to bring college students together who are currently in recovery from all types of substance abuse to support one another through their recovery (no religious affiliation). HOPELINE, by the Center for Suicide Awareness, is a text-in (versus voice call-in) free service for help and hope. HOPELINE is the Emotional Support Text Line in the State of Wisconsin and provides service throughout the entire state. HOPELINE's purpose is to offer emotional support and resources before situations rise to crisis level. Texts received reflect struggles with breakups, job loss, bullying, LGBTQ issues, parental issues, school, friends, relationship issues or any struggle a person is experiencing. Someone texts into HOPELINE --- 741741 --- anywhere, anytime, about any type of challenge or struggle. Hear celebrities talk about their natural highs and why it is important to them. You can follow thousands of other young people just like you on Facebook, Twitter, and Instagram and connect through your passions on the website below. 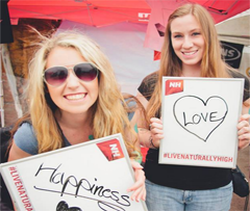 You can even get the chance to be featured on the Natural High's website when you share your natural high on Instagram. 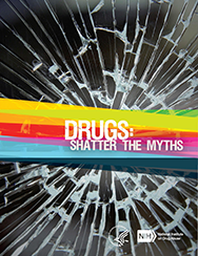 This guide by the National Institute on Drug Abuse will provide you with facts, answer common questions, and give you topics to think about related to marijuana, alcohol, and prescription drugs. Click on the button below to get started! Have you ever wondered about marijuana: Is it addictive? Can it be dangerous? How many teens use it anyway? 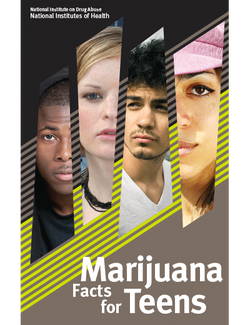 Find out in this Marijuana Facts for Teens Guide by the National Institute on Drug Abuse. ﻿Check out this awesome interactive website for just about anything you want to know about a variety of different drugs.